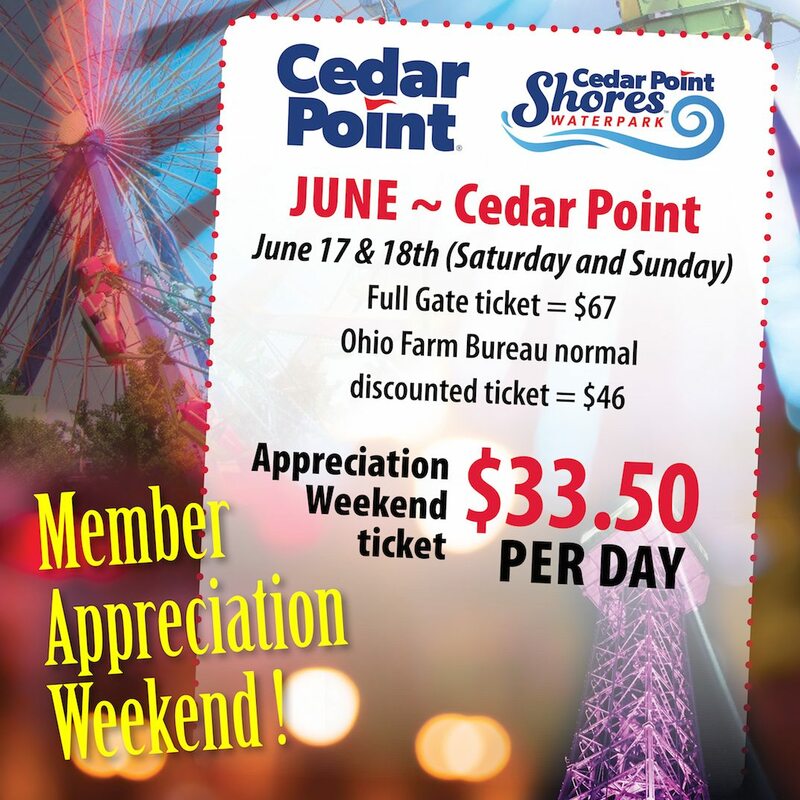 I would like to invite you to the Ohio Farm Bureau Membership Appreciation Weekend this Saturday, June 17, and Sunday, June 18 at Cedar Point! Discounted tickets are valid ONLY for June 17 or June 18, 2017. This ticket cannot be used for any other dates and will be forfeited. Ticket includes admission to both Cedar Point and Cedar Point Shores. This special ticket must be purchased online through the OFBF ticket portal below, and CANNOT BE PURCHASED AT THE GATE ! How to save on admission to Cedar Point. Log into the OFB/ Cedar Point ticket page. Insert the username and password. Choose the type of ticket you wish to purchase. Select the quantity, add to your cart, checkout and print your tickets at home by using the E-Ticket option. 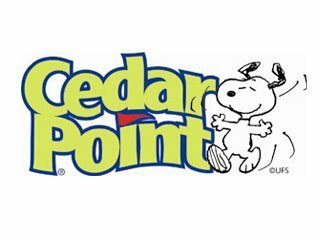 *There is a $5.99 Cedar Point processing fee for all online orders, through OFB or when purchasing through Cedar Point direct. Taxes may also apply. We hope you get out and enjoy the a nice weather with family and friends at Cedar Point!